A woman has come forward with allegations that her ex-wife, a New York State Senate candidate, verbally and physically abused her. The allegations were first reported by the Ithaca Times. 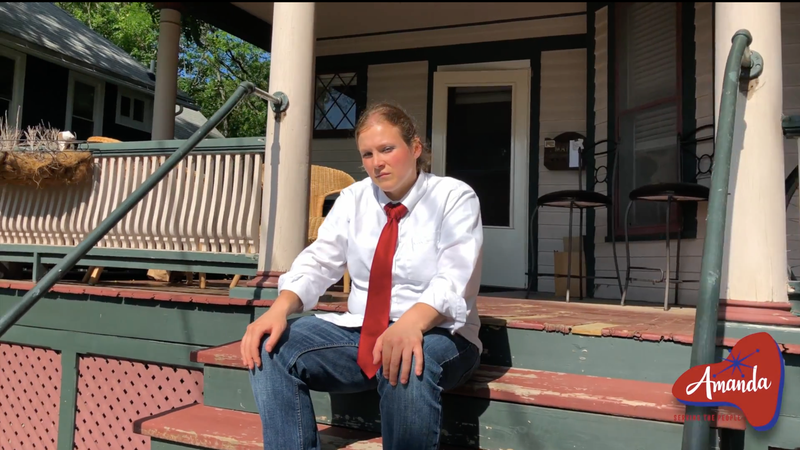 Brandi Morgan, 36, alleges that Amanda Kirchgessner, 34, the Democratic candidate for New York’s 58th Senate district, repeatedly threw objects at her; threatened to strangle her; pushed and grabbed her, and threatened to kill her animals if she left their marriage. Kirchgessner, a waitress and self-described activist, won the primary on a platform that supports a state jobs guarantee, seeks to pass the New York Health Act, and aims to eliminate cash bail, according to her campaign website. In the primary, she earned endorsements from several local officials. She will face off incumbent Tom O’Mara, a Republican seeking his fifth State Senate term in the Ithaca region. Morgan and Kirchgessner were married from 2008 until 2016. She had taken Kirchgessner’s name, but changed it back after the divorce was finalized. She says that their relationship changed in 2011, after Kirchgessner was charged with driving while intoxicated. “She kept drinking and driving, and I felt like I was her mom,” Morgan said. “We just became very resentful of each other after that.” Morgan says that the relationship became physically abusive in 2014. In the press release, Kirchgessner admitted to the charge but did not address the allegations of continuing to drink and drive. “I received counseling about my drinking habits which I took to heart and which changed my life,” she wrote. The worst incident, Morgan says, came in December 2014. Morgan suffers from a chronic nerve condition known as complex regional pain syndrome and has neurostimulator—a surgical implant that sends electrical pulses to her spine, blocking pain signals from reaching her brain. “She grabbed me by the back of my neck and pulled me down to the ground,” Morgan says. “And then when I tried to turn my neurostimulator on after that, it didn’t work.” Morgan needed two surgeries to restore the implant, which was permanently replaced in September 2018. “I can change my behavior, but I can’t change yours,” the voice says. “Well, then why aren’t you changing it?” Morgan asks. “I’m working on it. But your behavior hasn’t exactly changed,” the woman says. Morgan recounts the alleged abuse, saying, “You should never, ever react to someone physically. You threw me to the ground. You pulled my pants off. You told me you wanted to choke me to death. You took my phone away. And now you grabbed the back of my head and pulled my hair out to get your phone. “You still wanted to be with me,” the woman says. “I don’t want to be with you,” Morgan replies. “You did at that point,” the woman responds. “Past mistakes and events do not define me,” she wrote. “I was able to move on from my DWI conviction and a failed abusive relationship. In the years since my conviction and the end of my marriage, I have channeled my passions into political activism and a demand for social change. Too many people in our society remained trapped in alcohol or drug abuse and remain in abusive relationships. My experiences, while personally painful, have made me who I am – someone who will speak for those who cannot. Kirchgessner offered a lengthier response on her Facebook page on Tuesday, ahead of the articles in Jezebel and the Ithaca Times, in which she alleged being the victim of domestic abuse. “I endured years of psychological torment,” she said. “I never wanted to make my campaign about this, but I realize, right now, in particular, like this is exactly what my campaign needs to be about because I’m not unique. So many people deal with domestic violence in their homes.” The video did not address the specific allegations made by Morgan. A domestic incident report filed with the New York State Police indicates that Morgan “stated screaming for help out the window, when [Kirchgessner] grabbed her and pushed her away from the window. [Morgan] and [Kirchgessner] both called 911.” The report indicated that neither had injuries, and Morgan declined to press charges or make a statement. Morgan recalls a different version of events. “I wanted her arrested. I showed them the bruise that she left on my arm,” she said. The police urged her not to pursue charges, though, she says, because Kirchgessner would be released within hours. Public Information Officer Aga Dembinska of the New York State Police confirmed the incident report. Morgan alluded to her then-wife’s abusive behavior in a series of Kinja posts that she wrote under an anonymous username. Jezebel has not linked to them to protect the anonymity of her account. In a Kinja post from November 2015, a few months after Kirchgessner served Morgan with divorce paperwork, Morgan described the marriage as “very scary and even more violent toward the end.” In January 2016, Morgan described her ex-wife as “violent” and “abusive and controlling.” In February 2016, when the divorce was finalized, Morgan wrote about needing surgery to fix her neurostimulator leads, the thin wires in her spinal implant that send electrical impulses to her spine because her “abusive ex-wife” grabbed her by the back of her neck and pulled her. “I shouldn’t even need this surgery,” she wrote, referring to the 2014 incident.